Ruby Sparks is juvenile, navel-gazing, sentimental, and casually sexist. Directed by Jonathan Dayton and Valerie Faris. 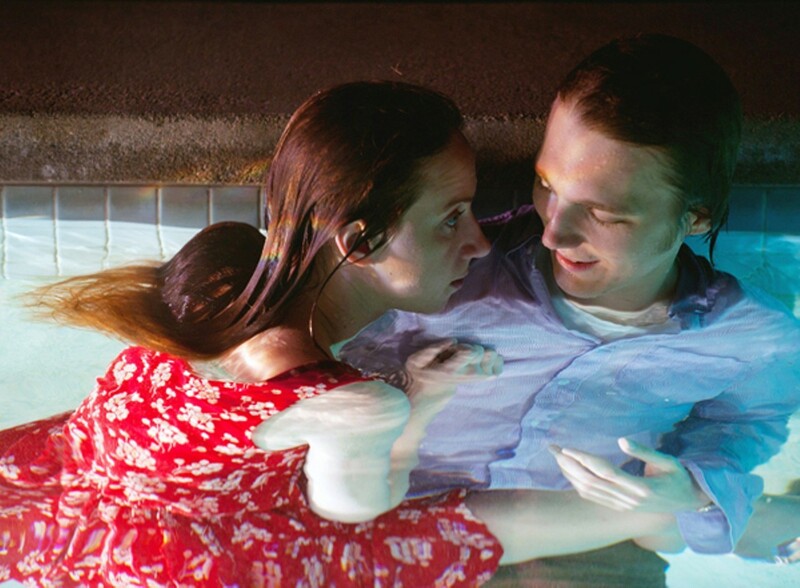 With Paul Dano and Zoe Kazan. Opens Friday. Paul Dano has a face made for mischief. Audiences first sat up and took notice of him for his dual role as twin brothers (one of them a sinister preacher) in Paul Thomas Anderson's There Will Be Blood, but his catalog of quirky characters goes back, before his part as Dwayne in Little Miss Sunshine, to 2005's The Ballad of Jack and Rose, where he played Daniel Day-Lewis' provocateur stepson. The 28-year-old New York City native's physicality, sly and elfish one moment and thoughtfully melancholy the next, makes him ideal for costumed dramas — in Meek's Cutoff he was a bewildered Old West homesteader — as well as the type of movie in which a lonely creator conjures up a female too good to be true. That's where Zoe Kazan and Ruby Sparks come in. Kazan, granddaughter of filmmaker Elia Kazan, another Meek's Cutoff alum, evidently wrote the screenplay as a vehicle for herself and Dano. In it, a successful novelist named Calvin Weir-Fields (Dano), suffering from writer's block and a lack of affection, is also nagged by the realization that he's a washed-up coaster at thirty. His best friends are his dog Scotty; his psychologist (Elliott Gould); and Bobby, the little puppet he and the shrink use to facilitate their sessions. But then into Calvin's life springs Ruby (Kazan), the imaginary girlfriend he literally dreams up one night and who wastes little time turning into a living, breathing person. At that point half the movie's potential audience perks up and primes itself for a bright, chirpy, whimsical love story directed by Jonathan Dayton and Valerie Faris, who did Little Miss Sunshine. The other half, however, sinks lower in its seats, dreading a maudlin, terminally cute romantic fable. Count us in the second group. Writer Kazan's comic setup, with love-starved writer Calvin inventing his flaming-red-haired ideal significant other as combination muse and sexual plaything, is questionable enough to begin with. But it doubles down on the pathos, melding the worst tendencies of the Pygmalion myth with Air Doll-type self-centered fantasies to produce more cringes than chuckles. Once Calvin recovers from the shock of suddenly having a live-in girlfriend seemingly possessed of a true life story — 26 years old, a painter, from Dayton, Ohio — he discovers that he can determine Ruby's actions, and even her frame of mind, by changing a few words in the story he's writing on his computer, the Ruby Sparks story. Too independent? Make her less so. Too clingy? Fixed. Actress Kazan plays Ruby straight, as a completely malleable being whose own will is struggling to assert itself — but not struggling hard enough. Whatever he writes, she does. Calvin begins to come unglued trying to deal with Ruby's artificiality, and so do we. Trapped in the snares of Ruby Sparks, we have time to admire the generous cast of supporting players. Annette Bening and Antonio Banderas are especially zesty as Calvin's hippie mom and her far-out artist mate, cavorting in their Big Sur boho hideout. Aasif Mandvi is good as Calvin's agent, Cyrus. Ditto Chris Messina as Calvin's disapprovingly straight brother Harry, paired up with Toni Trucks' Susie. Movie brat Kazan and the two directors have a natural feel for the warp and whoof of the California creative life. Even Steve Coogan, as Calvin's vulpine fellow writer Langdon Tharp, rings true — captured in controlled doses, Coogan is sharp and funny. The edges of the film supply the pleasure the central narrative does not. Eventually we have to return to the germ of the story. What, exactly, is the team of Kazan and Dano trying to tell us with this optimistic, navel-gazing, juvenile, carefully observed, sentimental, casually sexist — all those adjectives really do apply — light drama? That novelists are pathetic wankers? That dreams really come true? Ruby Sparks is too easy. Tales of unfulfilled artists, especially ones that feature gorgeous Los Angeles hillside houses and make-believe lovers and the inner workings of fame, should be thornier, tougher, harder to forget about. Dano and Kazan, arguably two of Hollywood's more intelligent acting talents, deserve a better movie than this. Ruby Sparks is not showing in any theaters in the area.